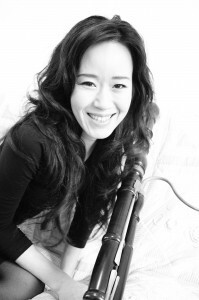 Makiko Kurabayashi was born in Japan, studied modern bassoon at the Kunitachi College of Music in Tokyo with Y. Kiryu and at the University Mozarteum in Salzburg with R. Galler and Y. Tominaga and baroque bassoon at postgraduate level with C. Beuse at the College of Music and Performing Arts in Frankfurt. She has participated in master classes with Reinhard Goebel, Trevor Pinnock and Sergio Azzolini. Since graduating, she has worked intensively with early music on period instruments and has performed with renowned baroque orchestras and ensembles including the Akademie für Alte Musik Berlin, L’Orfeo Barockorchester, Wiener Akademie, Bach Consort Wien, Hofkapelle München, Marini Consort Innsbruck, Salzburger Hofmusik, L’accademia giocosa. As a soloist she performs in Austria, Germany and the Netherlands, and in September 2012 recorded G.P. Telemann’s Double Concerto for Recorder and Bassoon with Dorothee Oberlinger and Ensemble 1700 for Sony. Currently she works as a freelance musician, residing in Salzburg and Paris. Since 2014 she teaches baroque bassoon at the University Mozarteum in Salzburg.